The Fall 2016 Monday Night Indoor Program saw the registration of quite a few new teams. In the A Division, our veteran teams like Scarborough Elites and Althahabi were tested against much younger squads such as High Profile and Franco Foot Toronto. 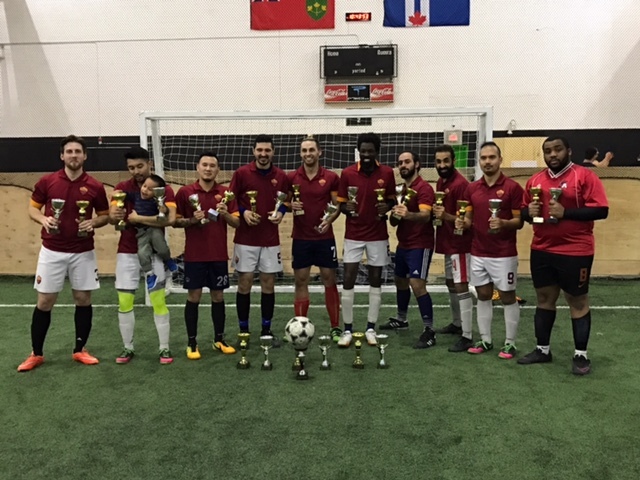 Our B Division also had a good mix of the new and old as teams such as Toronto Pheonix and Alianza faced new competition as a branch of D FC (from out Tuesday night program) entered a squad along with new comers FC Alliance and Knights FC. In our A Division, Althahabi, High Profile and Omada United all had strong starts and played great soccer throughout the regular season. Leading into the last week of regular season play, there was only 5 points that separated the 3 teams. Further, High Profile had a 1 point lead in the standings against Althahabi and needed to win their final game to secure championship status. Just as the luck of the schedule would have it, the last week of regular season match ups for Division A saw High Profile taking on Althahabi. In their final game, High Profile went up early in the match to take a 2-0 lead. However, Althahabi was able to battle back to level the score at 2-2. In the last couple of minutes of play, Althahabi was able to score the game winner and clinch the title of Division A Regular Season Champions. Division B play was marked by the stand out performance of Azkals. 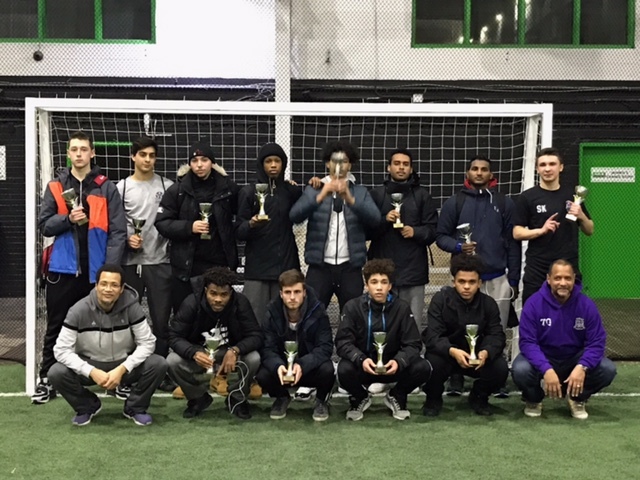 The team was strong from the start to finish of the season and were averaging 6 goals a game (which is why they promoted themselves to Division A for the 2017 Winter Session). However, FC Alliance also had a very strong presence and during the course of the season proved to be Azkals greatest opponent. Azkals ended up having a perfect season with 9 wins and 0 losses and posted an impressive 47 goals for and only 27 goals against. They ended up winning the Regular Season and werey were 8 points ahead of the 2nd place FC Alliance. 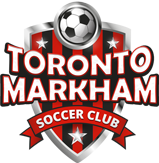 In the Playoffs for Division A, Althahabi and High Profile were able to advance against their 1st round matches against Scarborough Elites, and Omada United, respectively. Both teams would find themselves playing again but this time for the crown of Playoff Champions. In the end, High Profile put on a dominant performance and outscored Althahabi 5 -1 to clinch the title of Division A Playoff Champions. In our B Division, Azkals put on stellar performances to win their quarterfinal and semifinal matches against Point Bar Franco Foot and Markham United. FC Alliance also won their 1st and second round matches although D FC made it interesting and took them to penalty kicks in their semifinals match. In the finals, FC Alliance came out strong against Azkals and went up 3 – 0. However, in the second half, Azkals showed why they were championships and with only minutes left in regulation time, leveled the score at 3-3. The game went to Golden Goal play and within the first 2 minutes, Michael Tchoryk put a laser of a shot in the top left corner and Azkals came out victorious in the end. The game was a nail biter and both teams should be commended on their strong performance. The 2017 Winter session is now on its way. With the enrollment of new teams in both divisions, this is shaping up to be a very interesting Winter session.